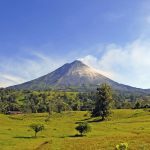 For travelers who are planning the greatest adventure of their lives in La Fortuna, we bring you a spectacular list of places to visit in one of Costa Rica’s most outstanding tourist destinations. 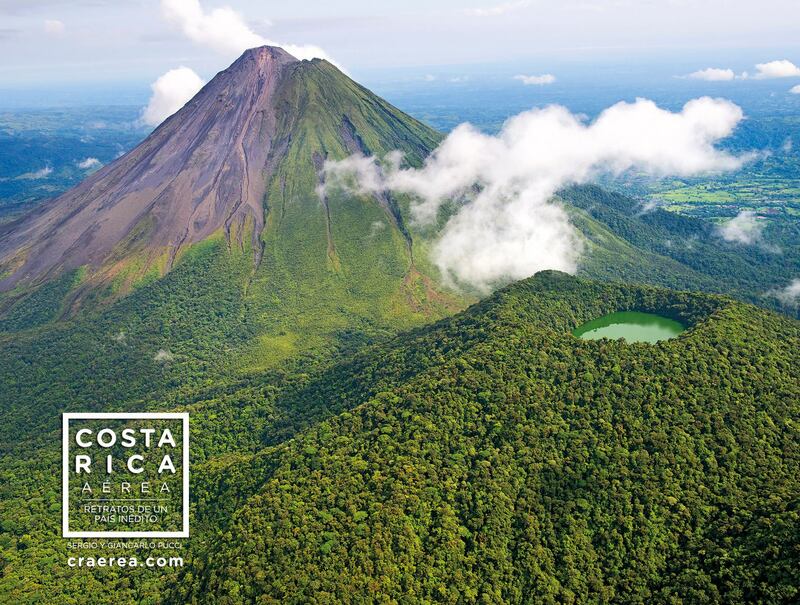 Just three hours from San José, the capital of the country, La Fortuna is a small town located on the side of the magnificent Arenal Volcano, an almost perfect cone standing 1,633 meters high and the third most active in Costa Rica. Although it has not erupted since 2010, it is considered as such because it is constantly emitting smoke and ash. This wonderful place marks the beginning of our adventure, with an extraordinary park having been developed on its flanks. If we take a trip around it, we will be greeted by endless bird calls, as well as getting to witness the presence of a multitude of wildlife species. When it comes to getting in touch with nature, this is one of the places you absolutely must visit. Our second stop is La Fortuna Waterfall, which is located inside the park and is generated by the waters of the Fortuna River. The adventure is a unique one, with a descent comprising 480 steps. However, there is no call for alarm. During the trip you will find comfortable areas to rest and, at the end, you will come to an exuberant 70-meter-high waterfall, where you can take a refreshing dip. Now, that doesn’t sound bad at all, does it? But there is more. You cannot boast having visited La Fortuna if have yet to experience the thrill of the hanging bridges of Arenal. These extend over a distance of 3.1 kilometers, comprising a total of 14 bridges: 8 fixed and 6 suspension bridges. They range from 8 to 98 meters in length, reaching heights of up to 60 meters. From this elevation, perched in the middle of primary rainforest, you can enjoy the company of a wide range of species of fauna, both native and migratory. And best of all, it is located right in front of the park. If relaxation is more your thing, you have two options: Lake Arenal or the thermal waters that descend from Arenal Volcano. The first is the largest artificial lake in Central America and is famous for the huge variety of water sports on offer, such as windsurfing, kayaking and fishing. 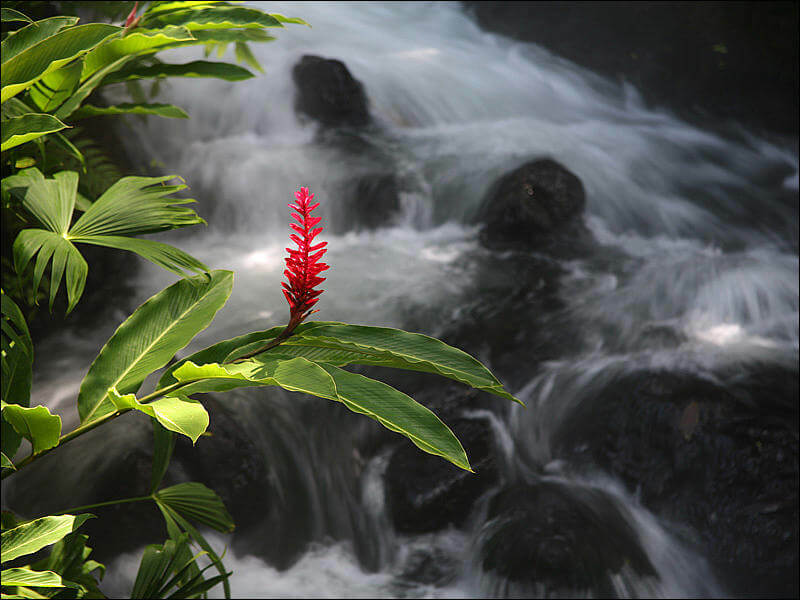 If you would rather enjoy a wonderful thermal bath, La Fortuna has several options along the road that traverses the town, such as Eco-termales, Tabacón or Kalambu. You can find more information on these here. 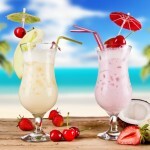 Surely you will agree that it is an experience worthy of sharing with friends, family or as a couple. 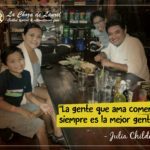 But always bear in mind that the best thing about La Fortuna is that you can enjoy a delicious plate of Costa Rican food, savor a coffee at sunset, and soak in the characteristic good atmosphere at La Choza De Laurel.